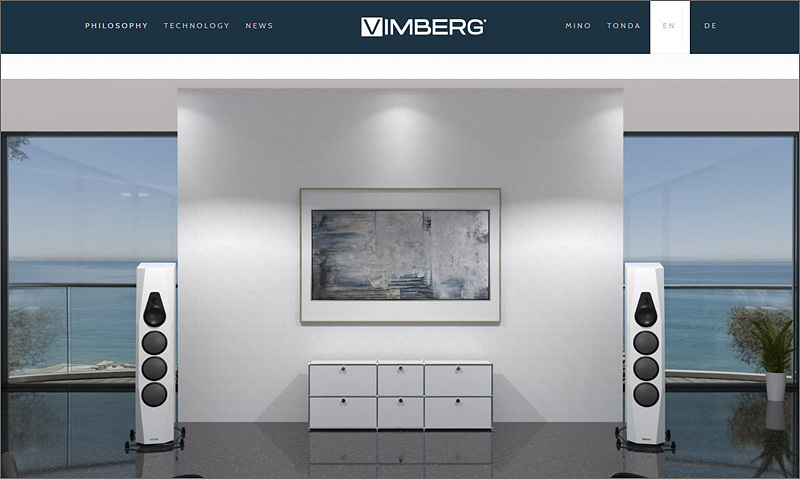 TIDAL Audio GmbH does present its new brand: VIMBERG. Worldpremiere prelaunch of the new brand from TIDAL Audio GmbH: VIMBERG. TIDAL has been a safe bet for the finest of the finest since almost two decades of audio history now. A constant show winner and reference with almost stubborn consistency in unique sound, finish and design. Being described as second to none, as an, or maybe the, Ultra High-End Brand. But we know there is a price for it to pay: since there will never be a compromised TIDAL, there can never be a cheap TIDAL. Period. But - and this is a very bold but - we never said we would be not open minded to do something from scratch in a differrent way. So TIDAL proudly presents a new brand - VIMBERG.